Our direct relationship with readers - including world leaders and the most influential people in business- sets us apart from competitors. 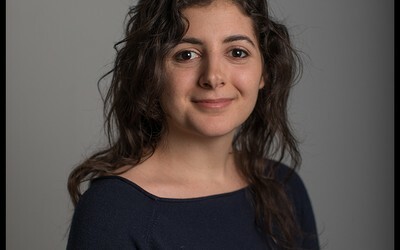 We hear first hand from our Community Editor, Lilah Raptopoulos, on the value of our readers and how FT comments provide a unique perspective on what is happening in the world. What do you do at the FT? I’m the community editor, responsible for all forms of reader participation on FT.com. I lead strategy for reader comments, and work with journalists and editors to tap into our readers’ knowledge on the topics we cover to inform our journalism. You can see some examples at ft.com/ftreaders. What’s so great about FT reader comments, anyway? We are lucky to have hundreds of thousands of subscribers from around the world who know a lot about the topics we’re reporting on. Sometimes they’re experts. Sometimes they’ve personally experienced the effect of things we are writing about. This insight adds tremendous value to our stories. For the FT’s editorial team, comments are our most direct feedback loop – it helps us develop a relationship with our readers. For readers, comments are a great place to interact with our journalists; our journalists often dip in to add to the discussion below their stories. Why do you think readers will benefit from having access to FT commenters? 3. they provide value to the article. They’re also a place where you can get a candid, unscripted idea of how others are thinking in your industry and interact with others that know a lot about your corner of expertise. How can comments add value to FT Group Subscription customers? In my mind, the FT comments section gives readers access to a wide (and global) network of people – peers and competitors alike – who know a lot about their industry and can get into the weeds about relevant issues. Comments from our Group Subscription customers come primarily from those in Education, Finance, Accountancy and Law; there are tons of interesting conversations happening on site from people in these industries. And people who leave informative and thoughtful comments using their real name can become quite popular below the line. On FT.com, the comments under our political articles will be full of opinions. It’s a fun place to go to test out how you feel about the big headlines of the day. But our site also has a number of smaller high level communities below industry-specific stories that may be of interest to you. In finance you can find it in Alphaville and below John Authers’ investment column. There is also a big specialised community under our accountancy stories and on David Allen Green’s legal column about Brexit. My only warning: they can be addictive. Informative, but addictive. The FT is a trusted business tool used by more than 4,000 organisations worldwide. Please contact us if you have any further questions or would like to learn more about our service.